This produce includes a FREE Charger! 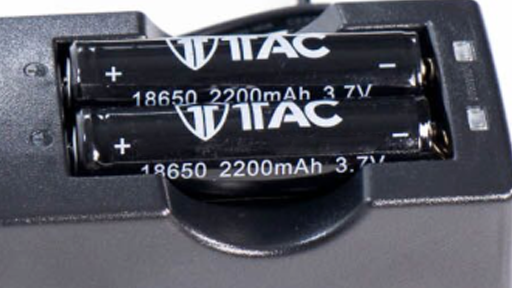 The 1Tac Rechargeable Battery Kit is an ideal addition to ensure your TC1200 Tactical Flashlights from 1Tac.com are always ready when you need them and perform at peak output. 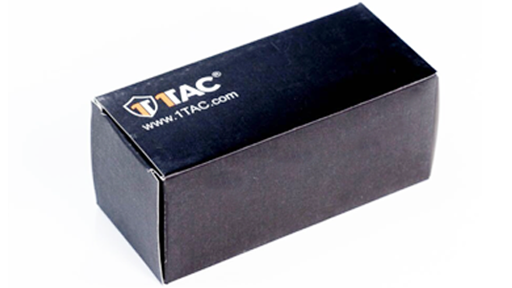 The 1Tac Rechargeable Battery Kit features two high-quality lithium-ion rechargeable batteries—for use in 1Tac.com’s TC1200 Tactical rechargeable flashlights—and a Smart Charger with two independent charging bays. There's an easy to see LED charge indicator for individual charging and charge detection. The long-life rechargeable 18650/2200mAh batteries are good for a minimum of 500+ charge cycles. 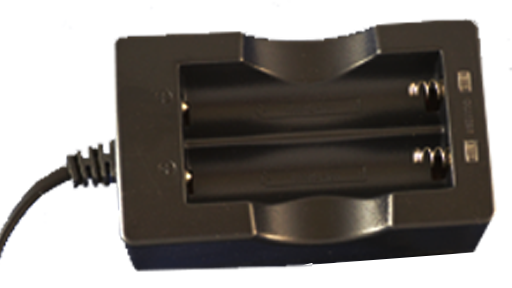 These rechargeable Lithium Ion batteries are “protected” batteries as they feature a protection circuit module (PCM), which provides safety features “unprotected” 18650 batteries do not, including protection against overcharging, over-discharging, excessive current draw, and short-circuiting. The included Smart Charger also features over-charge and over-voltage protection and has a built-in AC wall plug for convenient charging from any 110V - 240V AC wall outlet. Don’t be caught with dead, disposable batteries. This rechargeable battery kit is the only sure way to power your TC1200 Tactical Flashlights 24/7/365 to ensure the biggest light possible whenever and wherever you need it. 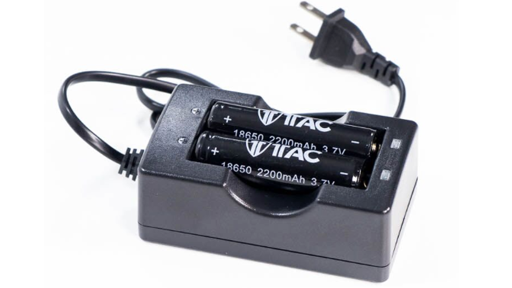 *We only recommend 1TAC branded Lithium Rechargeable batteries in our flashlight products.